With heading assembly election of Gujarat state, the political parties have begun to boost their campaign. 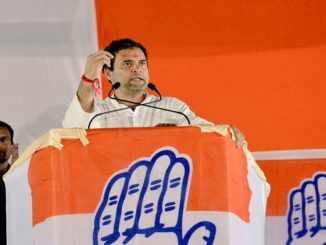 The two major parties; the BJP and the Congress have begun to prepare their camps as they have started to make necessary changes among the party post at different levels. In recent days, both the political parties have given off various important election responsibilities to their respective senior party leaders. Whereas, the minor parties like NCP, JDU, BSP and AAP have too begun taking meetings regarding alliance and other elections work. Big political parties are active in Gujarat politics, the BJP and the Congress have reason to be shocked as the latest Intelligence Bureau (IB) report on the Gujarat assembly election results’ prediction has come out. The report reveals that none of these parties will get a clear majority and it is likely to leave both the political parties worried. 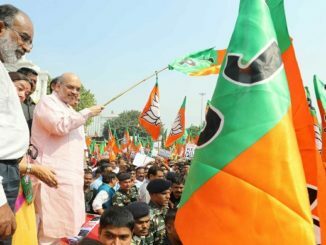 The BJP has been winning the elections since more than two decades in Gujarat, though the vote share and the seats they win have been going down over the years. On the other hand, the Congress is constantly gaining seats. The BJP has a target of 150 plus seats. On the other hand, the Congress claims to be able to win around 125 seats in the 2017 assembly polls. But the present survey by the IB has revealed shocking details. The report says that none of the parties are going to get a clear majority and both the parties will be winning seats in double figures. Surprisingly, the BJP is deemed to get around 69 seats while the Congress will apparently be winning around 75 seats. There will be around a dozen or few more seats which will be won by independent candidates. Thus, there seems to be a picture emerging for around 150 seats in the state. Accordingly, for the rest of the seats, the IB report says that there will be fight to the finish between both the parties, and that will be the deciding factor for who will claim power. The tough task will be for the BJP as 20 seats of these remaining 28 seats are of the Patidar dominated areas. Looking at the Patidar dissent against the BJP government, these seats going in favor of the saffron party is unlikely. But on the other hand, the BJP has an addition of 12 MLAs who have defected from the Congress. Political activities are heating up in Gujarat where assembly elections will be held at the end of this year. While the BJP is looking to retain its citadel, Congress hopes for a stunning comeback to power – political equations are therefore being reworked. Patidar quota leader Hardik Patel has hinted that his community may back Congress to dent BJP’s chances, according to media reports. Patel has hinted at aligning with Congress to ‘save democracy’. “You may say we do not have an option… but let us do something which makes the Congress have confidence in us…. Today, the entire country has eyes on us to save democracy,” Patel was quoted as saying. He said this while addressing a gathering in Patan. Patel for the first time has openly talked about supporting a party in the assembly elections and made some eye-ball grabbing statements. 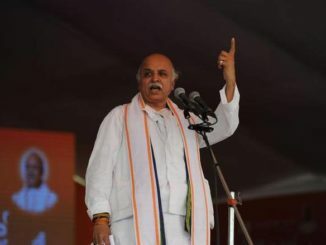 Notably, the event was organised to mark the second anniversary of the death of 14 Patidars during the quota agitation. “We lost 14 of our young members… we spent nine months in jail… atrocities were committed on our mothers and sisters,” he said. “Just ask yourselves what you have got in the last two years… the government has given us nothing.” Invoking the 2002 Gujarat riots, Hardik said, “We are proud Hindus. But today 144 Patidars are in jail in cases like Sardarpura, Dipda Darwaja, Ode, etc. Why only Patidars? Why does Maya Kodnani get bail, but not Babu Bajrangi? Is it because he is a Patidar?”, according to a local media report. There are more than 40 seats which can be swung by patidar votes. Patidar voters are believed to have the ability to change the fate of any party in the 2017 elections. Gujarat Congress president Bharatsinh Solanki said, “Hardik raised the issue of injustice done by the BJP to the patidar community and killing of patidar youths on the instructions of ‘General Dyer’. By calling Hardik a Congress agent, deputy CM Nitin Patel and BJP have only shown their frustration. 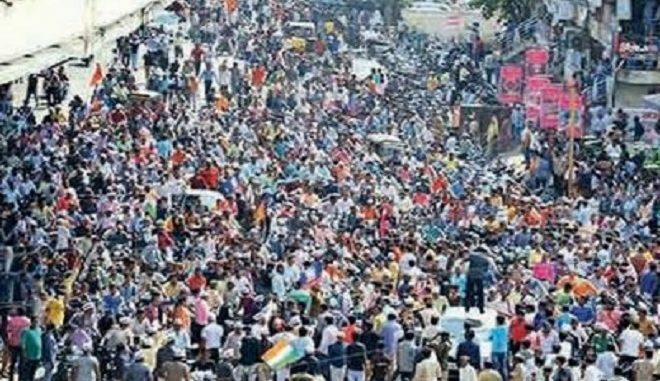 However, the people of Gujarat state might be preparing to witness one of the historic election scenarios. The voters and political experts have been keeping close watch over their most experienced leader, Shankersinh Vaghela who recently quit congress party and later stated that “I have quit from the Congress party but not from politics.” However, there could be possibility of political drift in the heading assembly elections of the state. Coming to current political scenario of the state, it seems that people of the state too have been to work for their elections. Today the social media accounts of many political leaders witnessed an special comment from people of the state. With saturated rule of two only political parties; BJP and Congress, the voters seem to be expecting a new political party to come up for the change of better government. With #Vikalp as in their various tweets, the people of the state seem to be demanding a substitute political party or leader to come up and serve them and this potential seems to be expecting from former Chief Minister Shankersinh Vaghela.